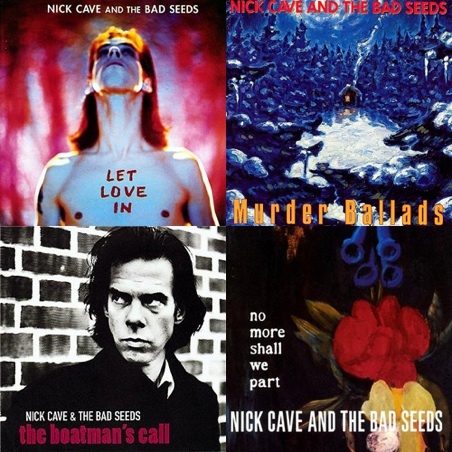 The final three titles in the Nick Cave and the Bad Seeds Collector Editions series are due out 30 July: Nocturama, Abattoir Blues/The Lyre of Orpheus, Dig!!! Lazarus Dig!!! Product & purchase info for all NCATBS Deluxe Collector’s Editions is HERE. Drowned in Sound scores a coup with their Mick Harvey interview. Kudos to Sam Kinchin-Smith! Brilliant! Here’s an extract relevant to our previous Mick Harvey post. A must-read!